How to conduct a bunker survey? What all must the bunker surveyor do? How to choose the right surveyor? Bunker Survey, also know as Bunker Delivery Survey, Bunker Quantity Survey (BQS) or Bunker Stem Survey forms a critical part of preventing bunker delivery losses. Bunker surveyors are mainly employed to independently check and determine the barge delivered quantity and the vessel received quantity. These two quantities should be within acceptable tolerance (usually 0.5% of received quantity) and if not, the surveyor must investigate the cause of the discrepancy. Conduct a full initial gauging of all the vessel’s tanks and record the actual initial quantity of bunkers on board the vessel. Compare the actual figures with the vessel’s declared figures and if a discrepancy is noted, re-gauge the ship’s tanks. Conduct a full initial gauging of all the barge tanks and record the actual initial quantity of bunker fuel on the barge. Ensure that the sampling equipment is set up properly to draw the bunker drip samples from the manifold during the bunkering. Check that standard safety procedures for bunker transfer are complied with. Monitor the ship’s bunker tanks regularly during the bunkering for any signs of cappuccino bunkers or entrapped air. Conduct a thorough final gauging of all the barge tanks and record the actual quantity of bunker fuel remaining on the barge. Conduct a thorough final gauging of all the vessel’s tanks and record the actual quantity of bunkers onboard after completion of bunkering. Establish the Barge delivered quantity and the vessel received quantity. Seal and label the bunker samples. See sampling procedures for more details on bunker sampling. 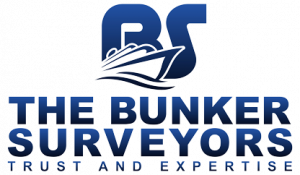 Many bunker survey companies are selling Bunker Detective Surveys on the pretext of establishing the actual bunker quantity onboard the vessel and comparing it with the vessel’s declared quantity. Their fee for this service is generally based on a certain percentage of the recovered bunkers. Apparently, their surveyors work scope for such Bunker Detective Survey is to physically gauge all the ship’s tanks and record the actual quantity of bunkers onboard against the vessel’s declared quantity. It should be noted that the NORMAL scope of a bunker surveyor’s work during a bunker survey requires him to physically gauge ALL the vessel’s tanks (and not just the nominated tanks) to determine the actual Initial quantity of bunkers onboard the vessel. Hence companies selling Bunker Detective Surveys as an add-on to Bunker Survey should be treated with caution. 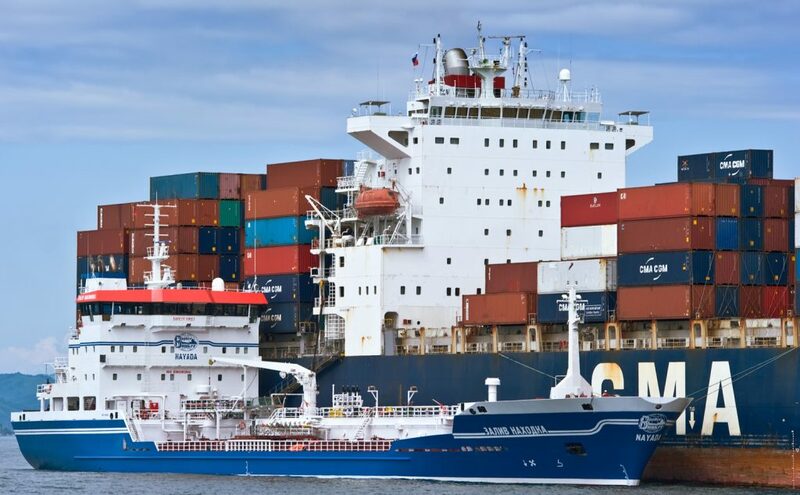 Since the bunker surveyor plays an important role in the bunker delivery process for containing bunker fuel losses, it is important to ensure that the right surveyor is appointed. There have been numerous cases where bunker surveyors, along with both, barge and ship’s personnel, have been found involved in malpractices. Typically, one should avoid appointing a one-man company or a small outfit with 3 to 4 of surveyors. You may save up to $200 in survey fees but unless a thorough due diligence has been carried out, the probability of losing a lot more in terms of bunker quantity is quite high. Competence of the surveyors: In some places like Singapore, only Licensed bunker surveyors are permitted to attend. In other places, the back ground and bunker survey experience of the surveyors should be checked. Additional training and upgrading: Does the company conduct additional training (beyond the normal licensing or on the job exposure). Some companies focus on continuously upgrading their surveyors’ proficiency through in-house training programs focused on sharing knowledge, recent experiences and customer feedbacks. Deterrents against malpractice: It can be tempting for surveyors to indulge in malpractices when large sums are at stake. Hence it becomes crucial for the company to enforce very strong and strict deterrents to ensure its surveyors integrity that curbs them succumbing to temptations. Monitoring the surveyors: Some companies have a procedure of unannounced spot check for auditing their surveyors during a bunker survey. This can be evidenced from their recent surveyor audit checklist. How many bunker surveyors has the company employed? Are they full time employees or outsourced: Many big companies employ a few full time surveyors and rely on the services of outsourced surveyors for bulk of their appointments. These outsourced surveyors are mainly from the smaller 1 to 4 men survey companies. The importance of using only in-house full time employed surveyors cannot be stressed more as only then can the surveying company maintain a strict control on their work procedures, proficiency and ethics through additional training, close monitoring and deterrents against malpractices. Bunker buyers often engage in extended negotiations over the survey fee. Many bunker buyers are known to choose the cheapest available surveyor and some even leave it completely to their agent to choose one on their behalf. While the survey fee is NOT a criteria of determining who is the best, it is important to understand that a few dollars saved on fee can result in a big loss in terms of bunker quantity. It may at times be better not to engage a bunker surveyor at all than to engage the cheapest one who may be a master of malpractices. A thorough evaluation of the surveying companies overall service, its past record and where possible, client reference and feedback should be checked before engaging one.